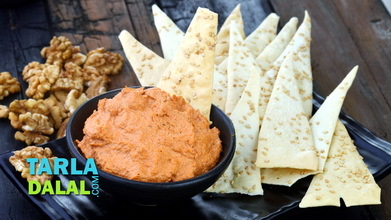 Cheesy dips are the perfect accompaniment for crunchy, juicy vegetable strips, spicy chips, nachos, or whatever crunchy snack you wish to munch on. 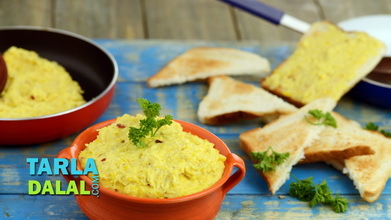 Here is a creamy and tangy Quick Cheese Dip, which can be prepared in minutes. 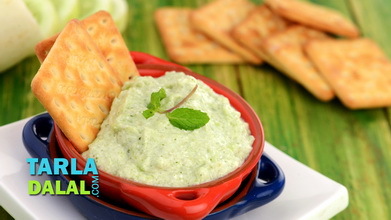 Green chillies and vinegar provide spiky notes that balance the dairy dominance, making this a fantastic dip that is sure to be enjoyed by all. 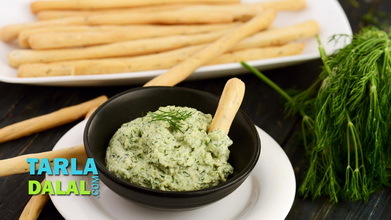 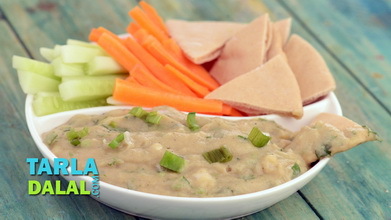 Use a hand blender to prepare this dip in order to get the correct consistency. 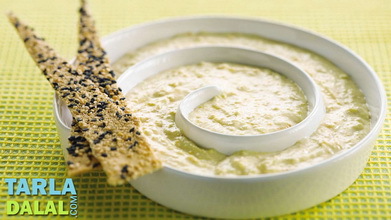 Using a regular blender might make the dip too watery. 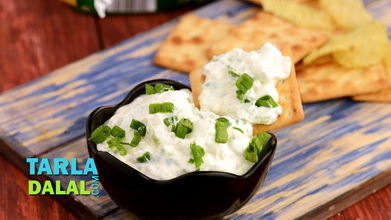 Combine the cheese, fresh cream and vinegar and blend in a mixer till smooth. 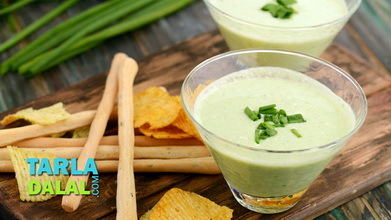 Transfer the mixture into a deep bowl, add the milk, salt and green chillies, mix well and blend again using a hand blender until thick. . 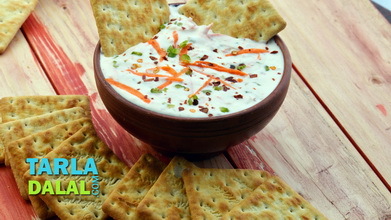 Serve immediately or refrigerator for 1 hour and serve chilled with chips.